New PAP Chapter or New Singapore Chapter? Who will care more about the future of Singapore? It looks more like an election speech: give me your ideas and suggestion what you want Singapore to be 20 years later. If the PAP likes it, they will incorporate the ideas into the strategic plan of Singapore. How wonderful it is! It is like a real Singapore dream. However, from the past experience, most of time no new ideas will be accepted as the PAP thinks they are the best. Perhaps, they are making changes now. Who knows? There is no alternative. If you don’t join them, you and your ideas are out. So, this is the back to square one situation for the past 50 years. Why can’t we have alternative future plan for Singapore? Why can’t voters vote on the merit of the PAP and alternative chapter? A new chapter of Singapore story must provide options to let Singaporeans to choose the best. Had PM Lee mentioned the option during his National Day Rally 2012? Obviously, the answer is NO. He wants you to make contributions to his PAP new chapter. A new Singapore story bases on the old PAP bottle. Can you change the mould? I wonder whether PM Lee has used the same judgement for the main stream media. The MSM has consistently targeted certain politicians from the alternative parties for the same reasons stated in the NDR 2012. Without a free press, without being given a fair chance to air alternative plans, all of us are one-eyed dragons. Some even prefer to be one-eyed dragons like the MSM. Who will care more about the future of Singapore? New citizens and PRs will be more concern about the new PAP chapter of Singapore. They have come here because of the PAP government. The PAP has, in return, painted a beauty picture for them 20 or 30 years later. If this PAP chapter cannot be materialised, they will have to re-calculate their future plans. However, it is important they also calculate the alternative plans if they are seriously thinking of sinking their roots here. 20, 30 years later, there is no guarantee the PAP will still be in power in Singapore. By then, the PAP chapter has gone and they may like or hate the alternative plans of Singapore. This is an important step for integration into Singapore society. Without knowing the alternative future plan will make new citizens and PRs one-eyed dragons. Not knowing the reality of Singapore politics will be a costly decision for them. They may think that the one-party politics will continue forever, and 20, 30 years later they suddenly realise they are experiencing a different Singapore dream, a different “Hope, Heart and Home”. It is important all Singaporeans noticed the shortfalls of the NDR 2012: “Not enough attention highlighted the challenges of raising incomes, reducing cost of living and addressing inequalities”. Bridget Welsh, associate Professor in Political Science at SMU, acknowledged that Lee’s speech was more “big picture” and “future-oriented” and less focused on technocratic solutions. It also showed “that there is a growing understanding of some of the reasons for angst in Singapore, as ‘anxiety, lack of empathy and displacement’ have been pronounced and growing”, she said. However, she said it continued a pattern of failing to address the systemic reasons for growing unease and, in some places, anger. “It revealed the unwillingness to engage in a fundamental paradigm shift, harking back to old standby images of family, education, good behavior and the need to sacrifice,” she said. In Chinese Singapore is just a kampong! Po Xian - this is how Singapore is called by some Chinese netizens in the social media. Po is Singapore and Xian is a county. Or in a longer version, Xin Jia Po Xian (新加坡县 Singapore county) and in short Po Xian 坡县. Do remember the next time you search for Singapore in the Chinese social media or internet, you can use the word Po Xian too. When you see Po Xian, it is Singapore and not a county or small city in China. We are a global city with high Gini coefficient and we are aiming and moving towards to be a Mega city by importing even more people. How come our little red dot (still remain a small county and) suddenly becomes a county? As more and more Chinese people knowing Singapore, they need to use a short term or nickname for Singapore. Hence, the birth of Po Xian comes into picture. In Chinese communications, it is too common to use a special name or term for a city or a group of people. Like Shanghai, it is called 申城. Perhaps we should ask them to rename Singapore as 坡城，not Po Xian. But we are not as big as Shanghai, so there is a reason for it. We are lucky we can be considered as Po Xian Ren坡县人 or in short 坡人. Not like the Japanese or the Westerners, they have been named 鬼子 (sons of devils) or 老外 (old western people) respectively. Should we be angry or humbly accept the fact? We are after all a small city in terms of land area and even with the inflated population. In 2050 as forecasted many of the top 100 cities are from China and maybe India. With urbanization in these 2 countries, more and more big cities are emerging and more and more today big cities in the West will become small cities or even counties in future. We are too small to have the capacity to add the "bigger" in front of Singapore. Bigger means also nearby areas and population. A bigger Singapore in theory should include South Johor and Batam/Bintan - a concept of growth triangle. This, of course, cannot put in practice politically. It is even difficult to put in practice economically. Since the launch of the concept of growth triangle in the 1980s, there is no big breakthrough so far. What we see are some independent developments in these 3 areas? Look at the case of Hong Kong, a Bigger Hong Kong should include South Guangdong cities but Shenzhen wants to be a Bigger Shenzhen. With or without Hong Kong, Shenzhen wants to go big. So, it is even difficult to operate under 1 country 2 systems. Not to mention, the growth triangle involves 3 countries 3 systems. This is how the Chinese are thinking. They think of big space, big population, big consumption, big money, big corruption, big business, big guanxi and of course big political power. Some children in their writings write about their ambition that is to be a big corrupted official. Not only in terms of area and population, our hungry (attitude as mentioned by PAP government), our spending power, our political drama, our corruption cases, our beauties, and many other aspects are really small. 小巫见大巫 can best describe the case of Singapore as a small county against a giant country - China. When we are called Po Xian, we have to understand the rational, the reasons behind this, there is no bad or good intention and just their side of story. A village life can be better than a city life in Singapore. This is why we call for kampong spirit and we don’t mind having the kampong life and humanity back again! But can we achieve that under the administration of the money-minded PAP government? Is high Gini coefficient led to the unfortunate deaths of miners in South Africa? Is high Gini coefficient only happened in global cities? Think about the recent South Africa worst shooting and killing of miners, can we learn a lesson from the crash between police and striking miners? Gini coefficient in South Africa is one of the highest in the world. And SA is a country with plenty of natural resources; she is not a global city. So, Gini is a concern to us and it not only happens to global cities like New York, London or Hong Kong as suggested by Singapore ministers. Gini is an indicator of wealth distribution. High Gini means unequal distribution of wealth towards a small group of people. Even rich in natural resources, SA has a very high Gini. The above is stated in a report “National Development Plan 2030” by the South Africa’s National Planning Commission (NPC) last week, just few hours before the crash, to President Jacob Zuma for review. High Gini coefficient is not only limited to global cities. Our government wants to justify it as a concentration of people in a city rather than the fair distribution issue. Not to forget there are ‘occupy’ movements in major world cities that crying for fair distribution of wealth and high pay of executives. The explanations, by Singapore government, below is just an excuse to move the focus point to global city. Even this is a global city problem; we still need to solve it. Otherwise, the price of non-action is too high as happens in South Africa. Blaming the high Gini coefficient due to global city in fact is a show of non-action of government and NTUC in Singapore. The low wage workers and families in Singapore have suffered from no increase in real income for more than 10 years. This directly affects and contributes to the high Gini in our little red dot. Similarly, the political development and the relationship between ruling party and union in South Africa, especially their non-action and protection of self-interest, have led to the high Gini and crashes between miners and police. 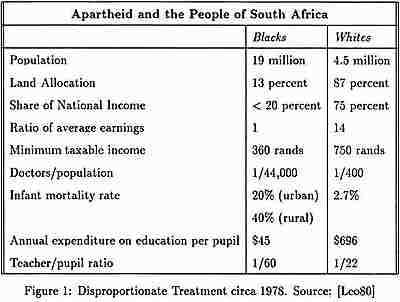 From white only during the Apartheid time, the development in South Africa after Apartheid seems to suggest the country is going towards another ‘only’ – rich only due to the high Gini. From white only to rich only, it still goes back to the old question and problem – distribution of wealth in a country. In the past, the white took the major share of wealth and resources. Now, the rich replaces the white and commands and controls majority of wealth and resources. The Singapore government’s attitudes towards high Gini is an indication that they want to maintain the high Gini. And due to our global city status as explained by ministers, we cannot do much just like many other leading world cities are not able to solve the Gini problem. Is this a good excuse? Will the widening rich-poor gap in Singapore lead to more unhappy crashes (not necessary violent ones, can be a change of government) in Singapore? Is there room for dialogue if the government is adopting this attitude and approach? “The other social problem is inequality. South Africa has a very high Gini coefficient of 0.69, we seek to reduce that to 0.60 by 2030,” the minister said. "We have a higher Gini coefficient in Singapore compared to most larger countries, because we are a global city. Hong Kong, London, the key American cities, and the leading Chinese and Indian cities in fact have somewhat higher inequality than Singapore. But we cannot resign ourselves to widening inequality. Unlike these other cities, we are a country. We have to try to contain inequality, and ameliorate its effects on our society." This strike was sparked by a demand for better wages. And - armed with spears and machetes - strikers were in no mood for compromise. But it goes much deeper than that. The traditional union in the area, the NUM, is a key ally of the African National Congress. Their backing is critical for President Jacob Zuma in his fight to retain his position in the ANC's party elections this December. Miners accuse their leaders of abandoning their grassroots concerns, focussing instead on politics. So they turned to an alternative union to fight their corner. But - as so often happens in South Africa - this dispute turned violent. Two police had been killed earlier in the week. When our maids are richer than our poor ….. In this richest nation in the world, our low income needy families have to seek assistance from the government to employ a maid. At the same time, our maids, with higher starting pay, will likely to have more savings than our low income families. Is this a happy dilemma? Is this an unavoidable dilemma? Some may argue that our poor and low income families are luckier than their American counterparts. These Americans have no subsidy at all, not to mention a maid grant. So, in Singapore, the government does help the poor and low income families. However, it also proves that it is very difficult to uplift the livelihood of lower 20% of the families in Singapore. Otherwise, a pragmatic PAP government, whose principle is against welfare state, will not adopt this last resort to help the needy families. The government is now caught between the rich and the poor, successful and not successful persons, the Haves and the Have Nots. They are balancing it and monitoring it with the hope that they can influence their votes in the next election. It is not sure whether the government knows the maids will have higher salary in advance or not and the maid grants are just to cover the increase. Earlier in the years, the Indonesian government had indicated their intention and some maid agents had implemented this already. So, the maid grants are only a cushion. Have the grants really solved the problems of needy families? The higher salary shows that the Indonesian government wants to protect their maids by imposing a higher minimum salary and off day compensation. They are doing this for the welfare of their workers, however, in Singapore; we leave the market forces to decide the wages of our local workers even though their income cannot meet their end needs. We may complain and comment the Indonesian government is corrupt, inefficient, and slow in action. However, in some ways, they are moving faster than us and possibly in the right direction. We are the richest in the world, but certainly not our low income families. As we say we must respect our maids with dignity, so do the poor and needy in Singapore. “Like in all societies, and in Singapore as well, there have always been people who have been corrupt. There will always be people who will be corrupt,” Mr Shanmugam said. Speaking at a National Day celebration dinner in Chong Pang on Saturday, Mr Shanmugam said that Singapore cannot completely eradicate fraud and bad conduct, even though it has created a system that is very clean and efficient by international standards.